In January 2014, Avnet announced Xilinx Zynq-7000 All Programmable SoC Mini-ITX board featuring Xilinx Zynq-7045 or Zynq-7100 ARM + FPGA SoC, and more recently, the company has launched “Xilinx Zynq-7000 All Programmable SoC Mini-Module Plus” systems-on-module (SoM) based on the same platforms, as well as a corresponding development kit including a baseboard and a power module. The SoM and development platform target PCI Express, embedded controllers, general-purpose prototyping, networking and communications, storage and servers, and Ethernet/Internet applications. LinuxGizmos reports the company provides PetaLinux SDK for the board. PetaLinux consists of “three key elements: pre-configured binary bootable images, fully customizable Linux for the Xilinx device, and PetaLinux SDK which includes tools and utilities to automate complex tasks across configuration, build, and deployment”. 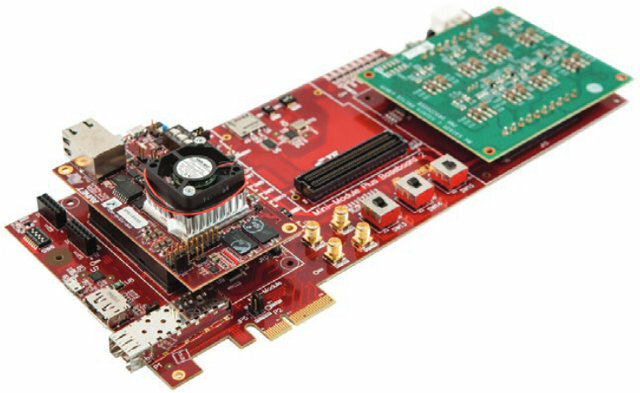 Xilinx ISE Design Suite, Embedded Edition is also supported, and provided with the board. 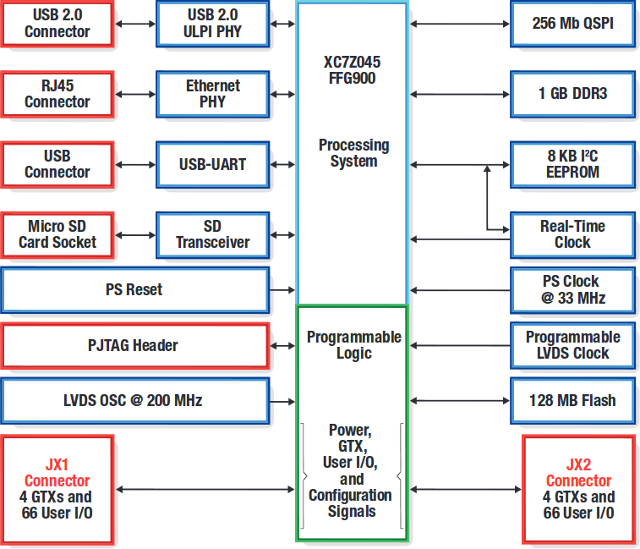 The Xilinx Zynq-7000 All Programmable SoC Mini-Module Plus is available now for $1,295 and $1,495 for respectively the Zynq-7045 and Zynq-7100 versions. The complete development kit (MMP) goes for $2,295, but you can also buy the baseboard and power module separately for $500 and about $300. Further details are available on Avnet’s Mini-Module Plus and Mini-Module Plus Development System product pages.